I used to be a BlackBerry fan, but I’m ashamed to say that I jumped ship on them just before the rest of the world did. Despite using three of their devices in a row, Google’s Android held a lot of my OS envy, and in 2011, I purchased the absolutely awesome Xiaomi Mi 2. Despite holding up incredibly well to three years of stress, daily use and damn near torture from me, it’s beginning to slow down somewhat. In the spirit of keeping up with the latest tech trends, and under the influence of nostalgia, its replacement will be the BlackBerry Priv! The BlackBerry Priv is refreshing for two reasons – firstly, it is a candybar phone with&nbsp;a slide-out keyboard [perfect for an oaf like me, who hasn’t yet fully managed to become an expert user of touch-screen keyboards], and secondly, it’s BlackBerry’s first phone to run Android. Blackberry’s clear wish with this device is to offer the versatility, functionality, and popularity of Android, combined with the legendary level of security that the Candian phonemakers were infamous [or famous?] for in the past. The device is very well packaged, as pretty much all phones are these days. It was a surprise to me that the box didn’t say BlackBerry in bigger writing towards the top of it, and chose to stick with just the device model and its tagline. 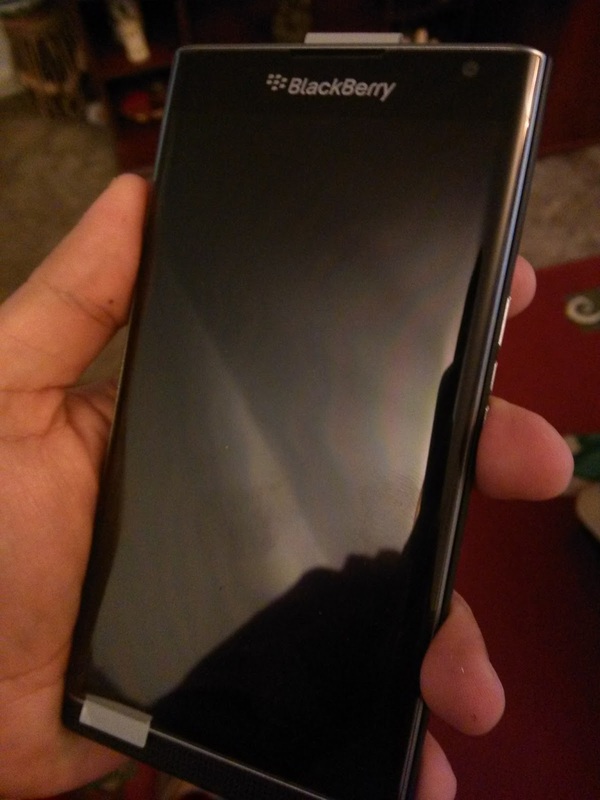 Upon opening the box, I was struck by the size of the phone. Coming from what felt like a 4.3 inch-displayed minnow, the 5.4 inch Priv looked gargantuan, and it’s clear that, while this screen will be an utter joy to view things on, one-handed usage of the device will most likely be an issue. The screen is also beautifully curved, almost akin to the Samsung Galaxy Edge. The glass itself is Corning Gorilla Glass 4, and has survived a few days in my pocket with my keys. On the right hand side of the device are three silver buttons that aren’t overly-tactile, but stick out from the body of the phone just enough to be felt without too much probing. These are the volume buttons and a quick-mute button. 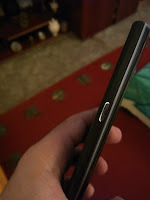 The left side of the phone features the lock-button. The top of the phone features the SIM card and MicroSD [yes! That’s right! Expandable storage!] slots, which both require the use of a SIM tool to be opened. The phone also utilises a nano-SIM, so those of you [like me] using the dinosaur that is a full-sized SIM will need to have a pair of scissors handy. A noise-cancelling microphone also lives here. 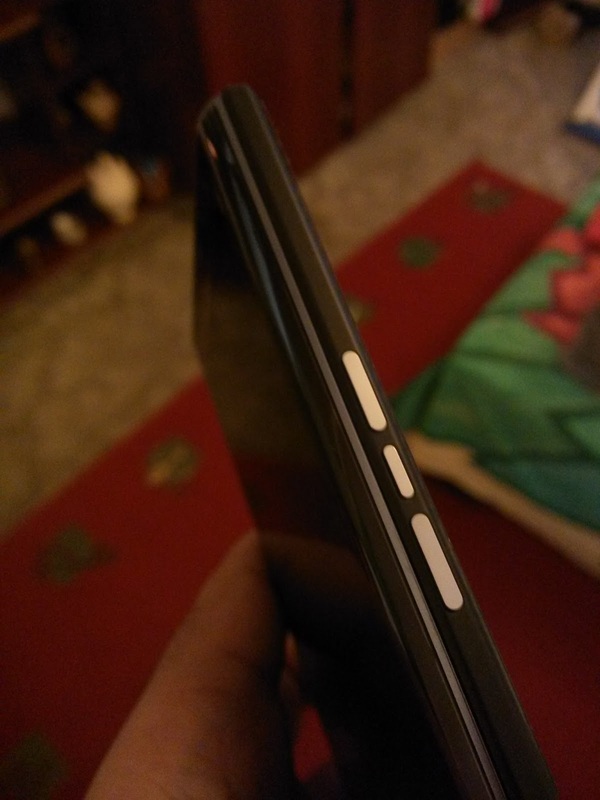 The bottom of the phone includes the 3.5mm headphone jack and a place to connect a Micro-USB cable, either for charging or for USB-MHL purposes. The BlackBerry Priv does support quick-charging, but a suitable cable for this is not provided with the device. 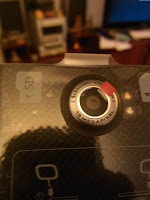 The back of the device contains the 18 megapixel Schneider-Kreuznach camera and dual LED flash. On first use [and before updating the camera app], the camera seemed absolutely painfully slow. In a world where most phones are happy to capture a snap in a fraction of a second, the Priv’s apparent reluctance to take a quick photo does grate on the nerves a tad, but has improved since the update! The speaker grille is on the front of the device – no stereo sound here, folks! Above this is a small metallic ridge. Push this up, and hey presto! 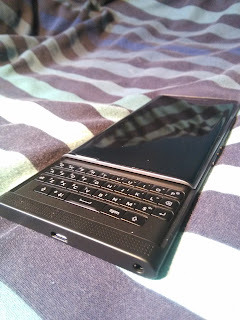 You now have a phone with a physical keyboard. 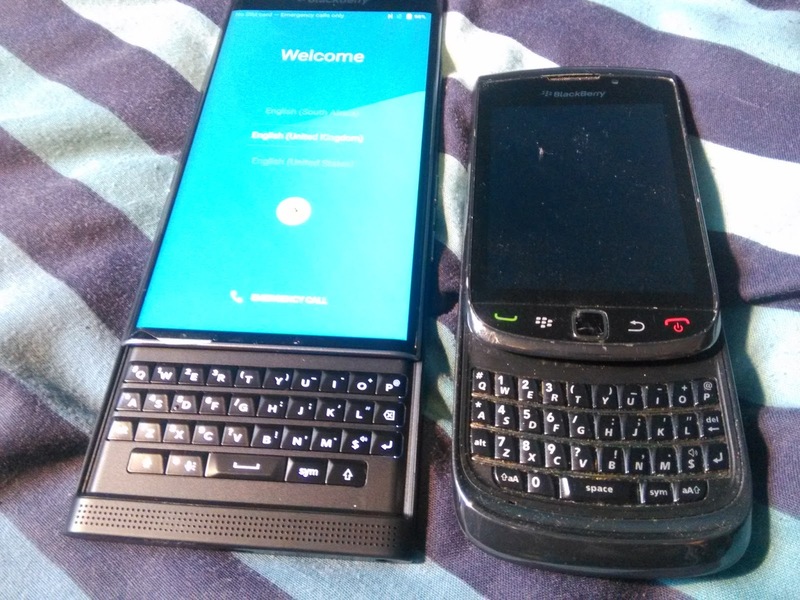 For some, this may be a veyr strong reminder of BlackBerry’s last foray into creating a device with a slide out keyboard: the BlackBerry Torch 9800. As a former owner of the Torch, I surely hope that the Priv lives a longer and slightly better life. After just a few days, the Torch developed strange rattles, squeaks and general idiosyncracies, and in just over a year it died a very quick death. 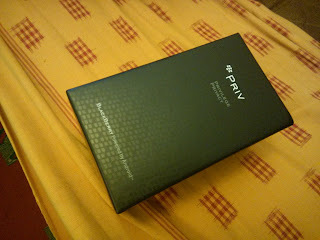 Here’s to hoping that the Priv, which is clearly priced and created to be a ‘premium’ device, is much more reliable. 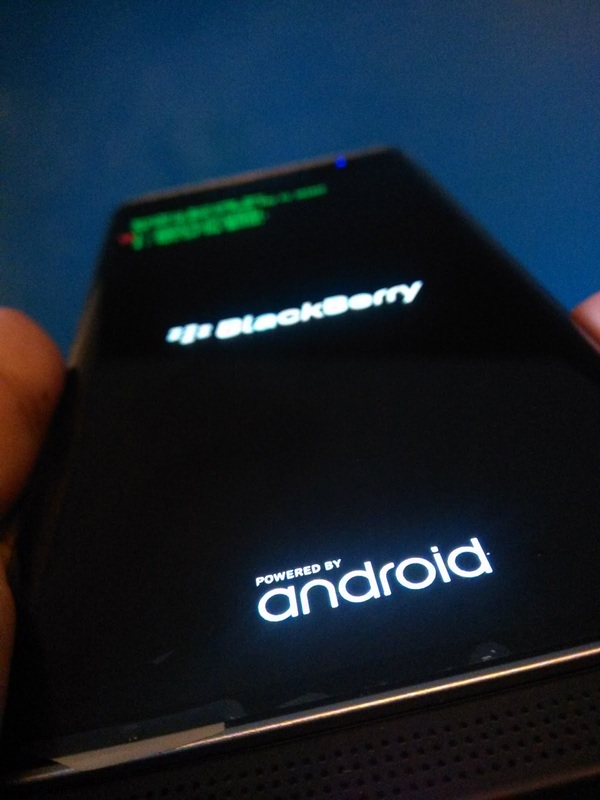 In recent years, BlackBerry have been a major partner of the Mercedes AMG Petronas F1 team, and much like a Formula One car, the Priv requires a bit of ‘running in’, and doesn’t function completely perfectly out of the box. In the first few days [especially while you’re setting everything up and making it the device you need it to be], battery life leaves a lot to be desired, and with the heat that the device emits, it also functions as a neat handwarmer, as the 64-bit, hexa-core, Snapdragon 808 processor fires up and finds its feet. However, after the first couple of days ended, battery life looks like it’s on the way up, and the phone only heats up with excessive screen-on time, or intensive use. 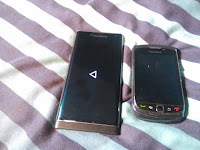 So, after a week with the phone, things look initially positive. 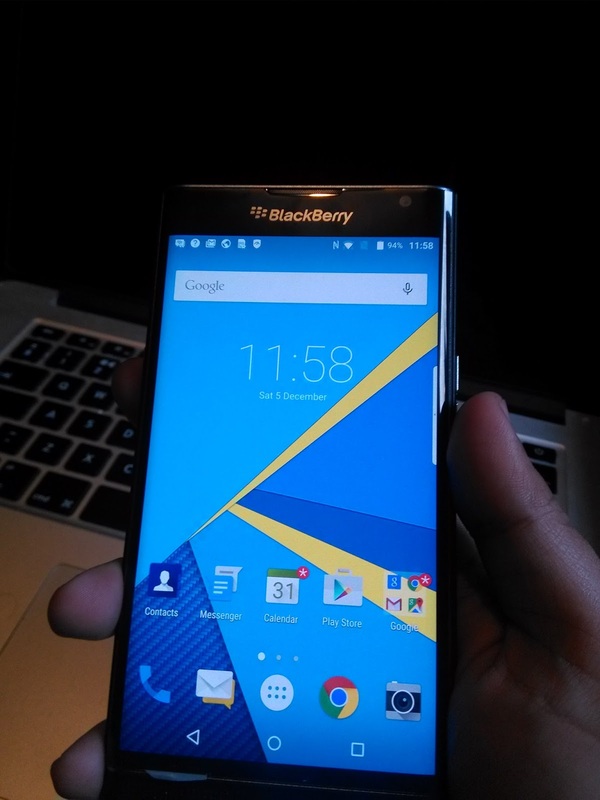 Stay tuned to see my full review, when I’ve used the BlackBerry Priv as my daily driver for a few weeks!